I love companies that stand out and make a difference! I love companies that give back and are fair trade! Sashka Co is one of those companies! 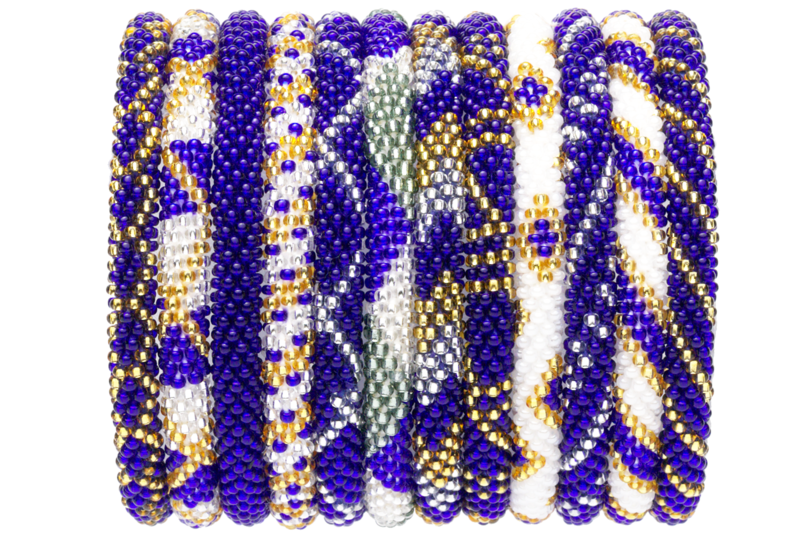 They are BEAUTIFUL beaded bracelets that are handmade by artisans in the Kathmandu valley of Nepal. 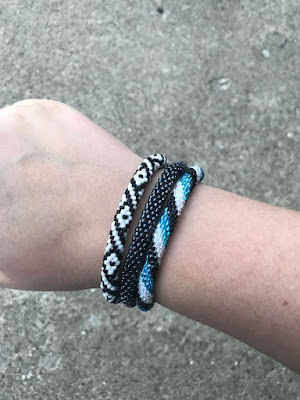 I recently had the chance to try out a few of their gorgeous bracelets and I will most definitely be buying more! Check out my selection below. 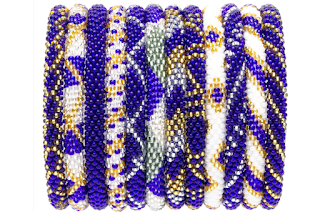 The bracelets are handmade with glass beads and cotton thread. They are crocheted, making them last a lifetime! 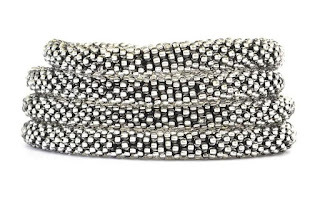 Sashka is SO confident in their workmanship, that these bracelets have a LIFETIME GUARANTEE! 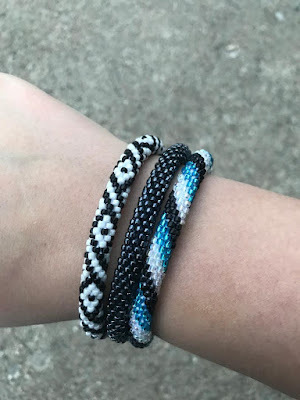 They are a simple roll on design, Because of the way they're crocheted, they stretch JUST a little and then contract back down to fit your wrist perfectly. Over time they may stretch a bit, just drop it in warm water, and let it air dry and it will shrink down to its original size. Also, if you need to stretch it a bit more, just place at widest part of your hand and stretch out your hand, the longer it's stretched, the bigger it will become. Sashka Co not only partners with organizations in Nepal to train hundreds or artisans, they also have over 70% of profits going back to Nepal! Talk about a company to support! 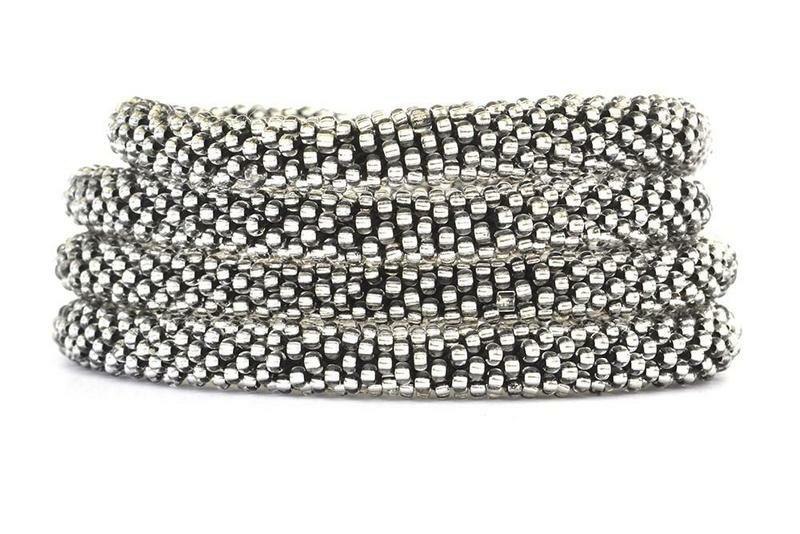 Sashka Co offers bracelets in 3 different sizes. Kids: 4 to 5.75", Original: 6 to 7.75", and Extended: 8 to 10". So they have bracelets for everybody! 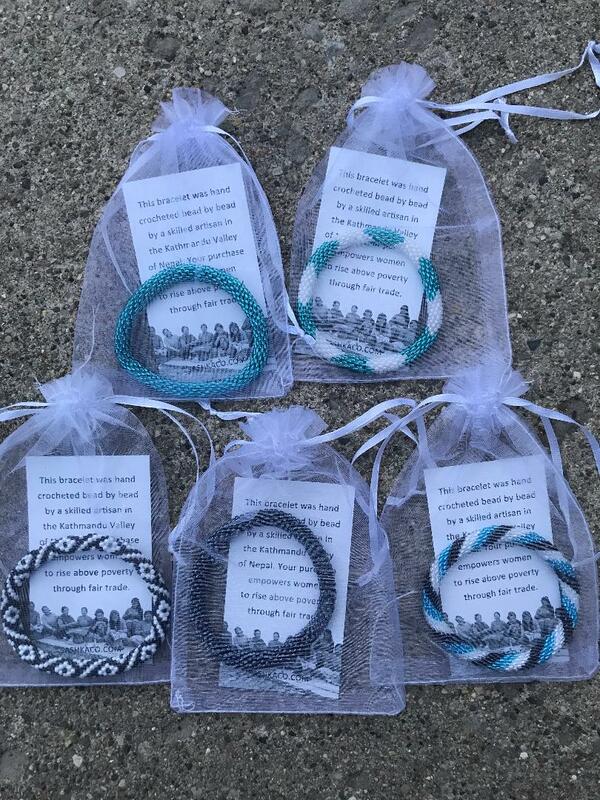 Their bracelets are truly one of a kind and they offer SO many different colors and variations. Also note, since these are all handmade, there may be slight variations in each one you receive! I just love this Go Navy set! Code HEATHERSUM20 gets you 20% off your purchase! Overall: ***** hands down!! LOVE the quality of these bracelets and I am definitely a customer for life! These would make the perfect gifts for any occasion. Great for little girls, bridesmaids, just because! Everyone will smile receiving their Sashka as a gift! 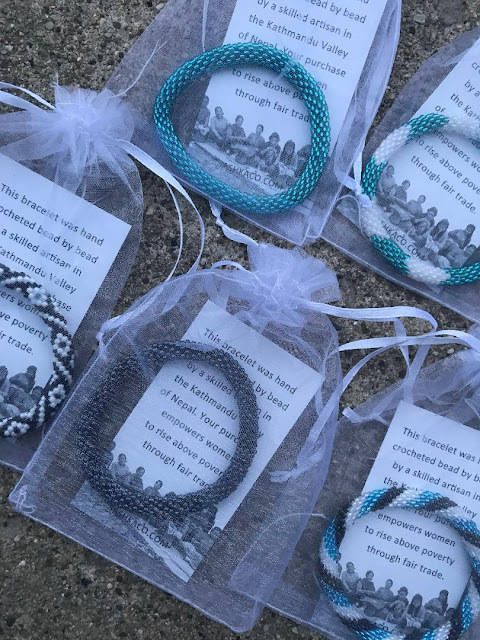 One reader will win 2 FREE Bracelets of their choice!! I really like t4 and A9... I like the designs with black, since it's one of my favorite colors to wear! The purple Power Set is absolutely adorable! My favorite is the i20 bracelet. I love the black and silver set or the purple power set. These bracelets are stunning! 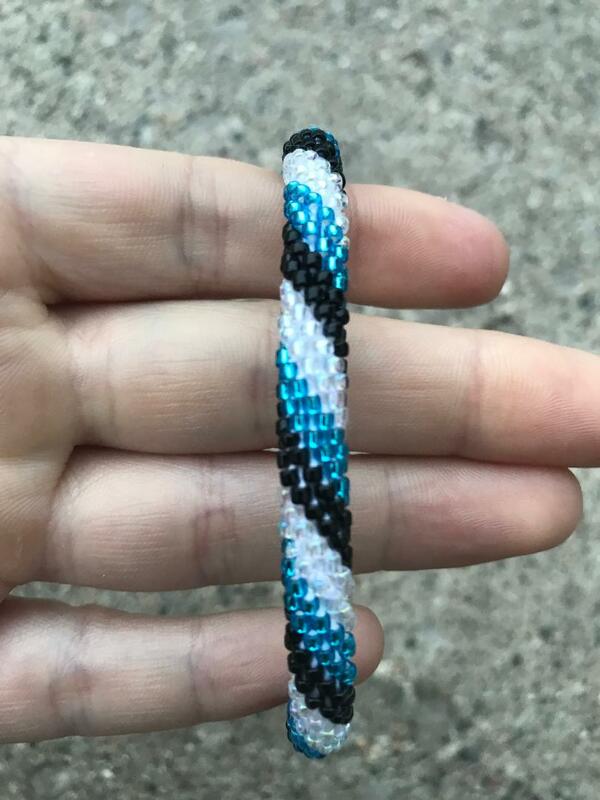 I would choose the A29 "Autism" bracelet. So many cute options I like the Crayon Collection a lot but I do like the Abstract set too. I like the A2 bracelets. I really love the purple and blue ones. I like the I2 gold bracelets. I like the solid set! My favorites are V4 and B14 black/gold/white. I do like the A29 Autism bracelet and also B14. I am not sure.. they are all pretty. I do love the purple power! Either X9 or Pretty in Pink. I love all the bracelets from the solid collection. I actually love them so much I just bought 4 because I got a 50% discount from spinning the wheel on their site! This is a hard decision! I think I would choose E11 and N3. What a fantastic company! The Purple Power Set has stunning colors. I love the m17 and the a25 best! I like V4 and T3 the colors are fabulous. I like the e11 and the c14 to start. White and gold are classic. I would choose the E7 and the V4. I like the autism bracelet! I might choose the e5 and the r7.